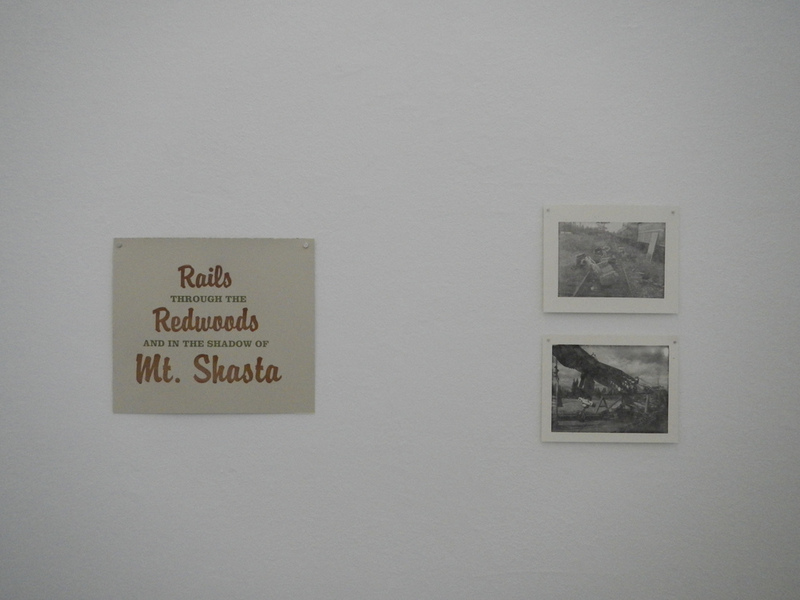 A wooden (ash) railroad track is a shelf for all the prints made while researching and railbiking in the field. 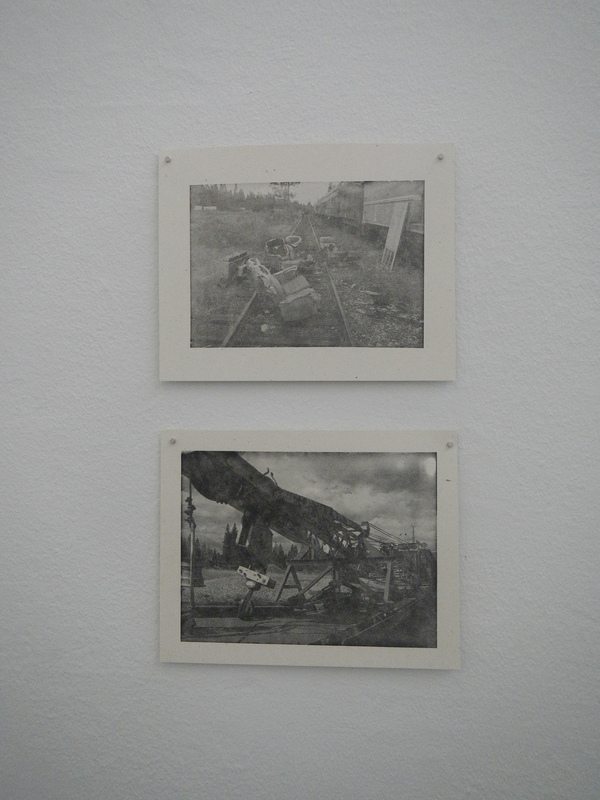 A pair of creosote soaked railroad ties hold the small Kexlsey 3x5 press used to make those same prints. One of the railbikes is assembled and on display in the space, along with a 12 minute video loop shot while railbiking an old Northwestern Pacific line. 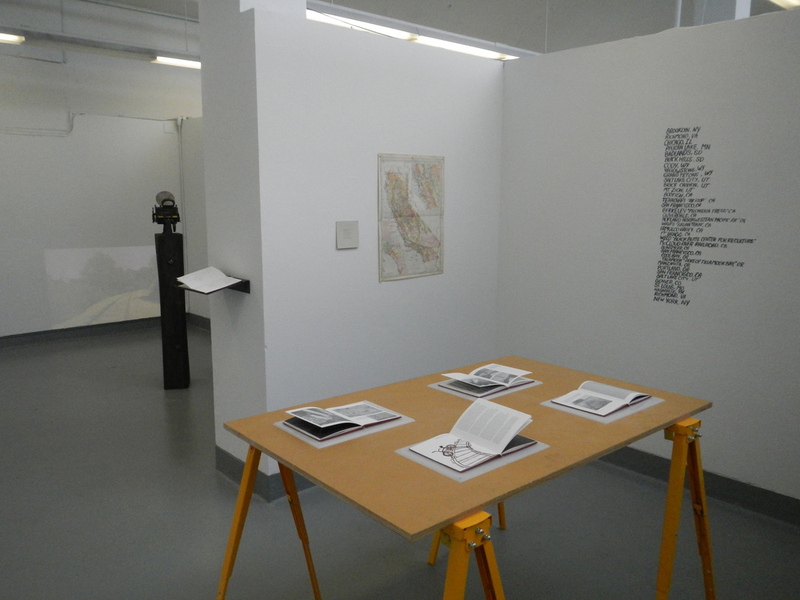 Four books are displayed on a table top, accompanied by printed artifacts and maps on the walls of the space.